Inspiring children to read through rhyme and have fun whilst learning. Welcome to my website where you’ll find lots of good ‘stuff’ about my books, my rhymes, my sketches and me. I have been passionate about art and writing since a very young age and had the unique opportunity to grow up in a safari park where I worked as Park Ranger in ‘Pet’s Corner’, looking after llamas, goats, monkeys, pot-bellied pigs and a lion cub! I have loved animals ever since! Following my passion I went on to graduate from Leeds University and spent my former career working as an illustrator and Artists’ Agent in children’s publishing. I then had a business career in the branding industry at managing director level. Now, I am completely focused on following my passion for illustration and writing whilst living between the South Downs of England and the South West of Spain with my husband John who is always encouraging me to ‘Get on with it!’. When I’m not not 'getting busy with my crayons' I love nothing more than playing my piano and sitting in the sunshine with a good book and a big sun hat. 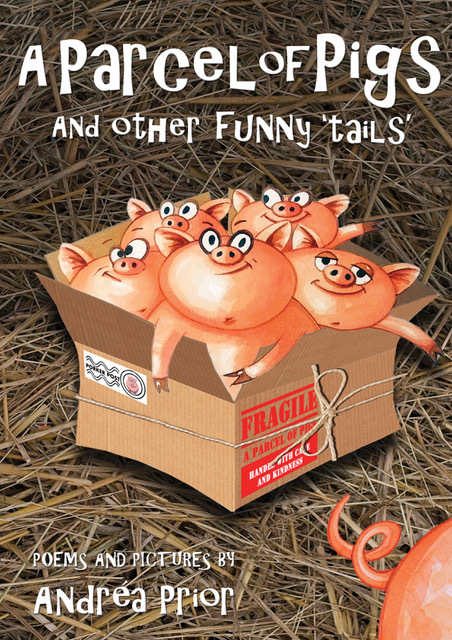 A charming collection of rhymes, poems, rhythm and wordplay to delight children’s imaginations. Accompanied by Andréa's watercolour illustrations, she leads her readers through the weird and wonderful names for groups of animals and with engaging questions and fascinating facts at the end of each rhyme, it is a perfect way for children of 5 - 9 years to learn about animals and their behaviours.. Learn new rhymes and get tongue-tied in this engaging selection of children’s rhymes for children of 5 – 9 years. 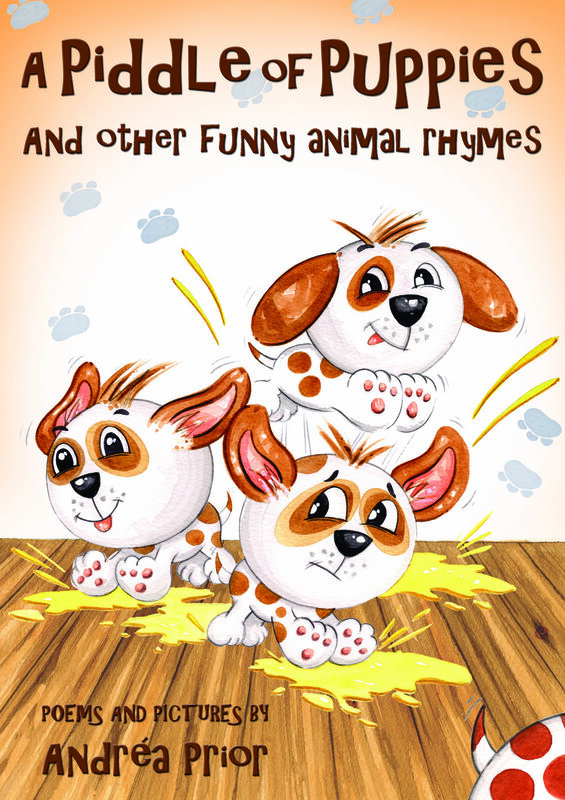 With colourful illustrations by the author, the rhymes are great to read aloud as well as being a fun and engaging way to help children with their reading skills. There is something enchanting about rhyme; not only is it great to read aloud but it’s an ideal way to help children with their reading skills. It helps them understand word patterns, words that share common sounds and to read with energy and liveliness. I love writing rhymes; they make learning fun, and my poems are written for all of those parents and children that love reading together! She’s the scariest mother I’ve ever seen! Can’t keep up with the quack, clack, quacks! Can’t keep up with the waddle, paddle, waddles! It’s all SO nice for the mischief of mice! Sketchy flamingos to flamboyant flamingos! My most favourite thing to draw! I attend various events and book signings throughout the year including at Waterstones and independent book shops. I regularly visit schools and as well as reading my rhymes, I also talk about the process of creating my books including where my ideas for come from and how my characters are developed. For a calendar of activities please visit my Facebook page. All pictures of children are approved. A Piddle of Puppies Book Launch in Marbella, Spain. The start of the evening…. Accompanied by Andréa's watercolour illustrations, she leads her readers through the weird and wonderful names for groups of animals and with engaging questions and fascinating facts at the end of each rhyme, it is a perfect way to learn about animals and their behaviours for children of 5 - 9 years. Signed limited edition prints of your favorite characters and don't forget to join me on Instagram for giveaways, competitions and signed original sketches! For more information on up and coming events, enquiries about school readings, speaker opportunities, event attendance and purchase of original illustrations please make contact with Andréa below.